The increase in the number of ceasefire violations has prompted the government to form a committee to examine the issues faced by civilians along the International Border and the Line of Control. 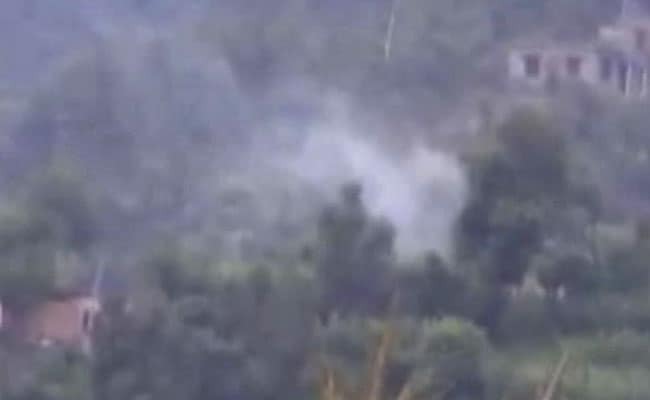 New Delhi: Till September 30 this year, over 600 ceasefire violations by Pakistan have been reported at the International Border and the Line of Control in Jammu and Kashmir. That's an increase of 33 per cent since last year, when only 450 violations were reported in comparison. The increase in the number of ceasefire violations has prompted the government to form a committee to examine the issues faced by civilians along the International Border and the Line of Control. Special Secretary (IS) Rina Mitra has been appointed as the chairman of the committee. This year, around eight civilians have been killed in ceasefire violations; last year 13 were killed. 16 security personnel have been killed this year, while the number was 13 in 2016. "The competent authority has approved the constitution of a study group for considering the various problems being faced by people residing near to IB and LoC in wake of regular threats of cross border firing," the order taken out by the Home Ministry states. "We have managed to push back lot of infiltrators. Locally lot of commanders have been killed so now to keep the violence level high and put pressure on India they have started targeting civilians," said Ashok Prasad, advisor to the Home Ministry. The ministry has directed the study group to conduct a field level study and submit its report within two months. The group will visit areas where shelling, and sniper firing often takes place. "They will meet the people living in the border areas of Jammu and Kashmir and also meet public representatives and district administration and security forces," a senior official from the ministry told NDTV. The study group may prepare a detailed report of the issues being faced by the public living near International Border and the LoC and submit its recommendations on the remedial action that needs to be taken to address these issues. The basic issues which civilian population has been concerned in the past are about relocation in case of attacks. "Compensation for people who are killed and also for cattle killed are a major issue for the population residing along border areas. That would also be dealt in detail," adds another officer of the Jammu and Kashmir division. The demand for weapons to be given to the villagers is also being discussed. "Villagers often complaint that Pakistan BAT teams visit border and kill people so there have been demands by village committees that weapons should be given to them," adds the officer.